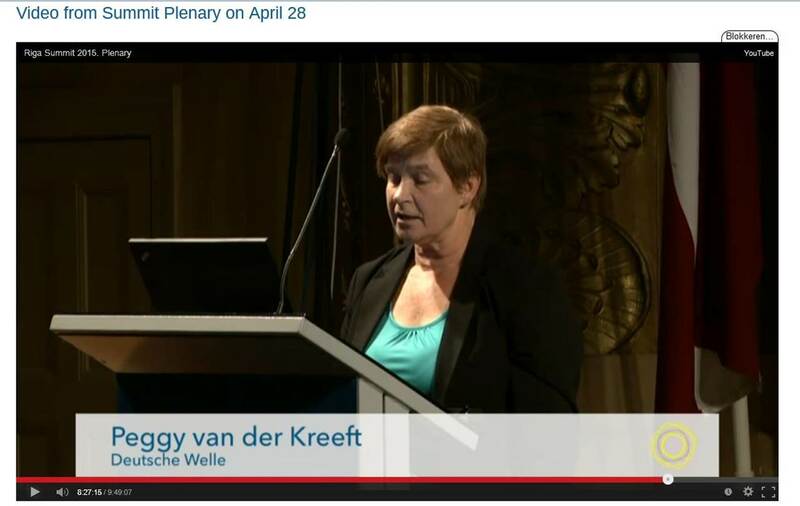 The EUMSSI project was presented by Peggy van der Kreeft, Deutsche Welle Innovation Manager, at the Riga Multilingual Summit 2015 plenary meeting on April 28 with a presentation on “Language Technologies – A Must for Innovation in Broadcasting”. It featured in the panel session entitled “Empowering Multilingual Content, Media, and Data Economy” with industry and media leaders discussing challenges and solutions for language technologies. 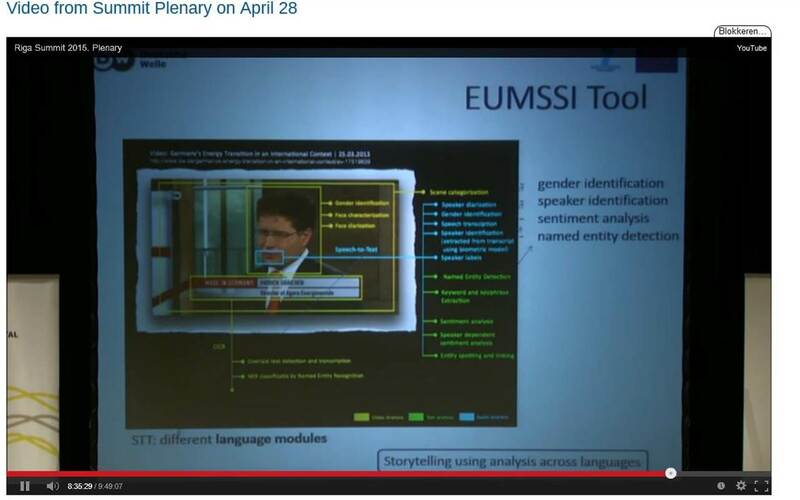 The EUMSSI tool was shown as an example of solutions for handling multilingual content using multilingual or cross-lingual analysis, including ASR. Both public and industry partners showed interest in such technologies and solutions. In addition, a EUMSSI poster was part of the Summit Technology Showcase on April 27. Maite Melero from UPF (Universitat Pompeu Fabra) elaborated on EUMSSI technologies during the poster session. 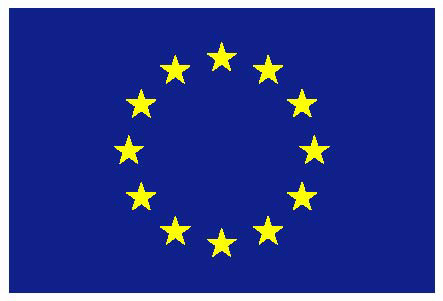 The Riga Summit 2015, the Multilingual Digital Single Market Summit, was the venue for top government officials, EU public sector and industry representatives, language specialists, as well as key media and academia on 27-29 April 2015. The 3-day event, organised by the Latvian Presidency of the Council of the European Union, and attended by over 350 participants, was aimed at joining stakeholders with an interest in overcoming language barriers to arrive at a truly multilingual European Digital Single Market (DSM). This language barrier can be crossed with multilingual technologies, products and services. To learn more about the Riga Summit and its results, visit the summit website, where you can watch a video of all presentations of the Plenary Summit as well as those given on day one at the META-FORUM event.